There is a fine choice of beaches northwards from the town of Alghero. During the summer months it is easy to find facilities for water sports to indulge in. The Maria Pia beach, still in Alghero is a beautiful sandy bay backed by pinewoods. 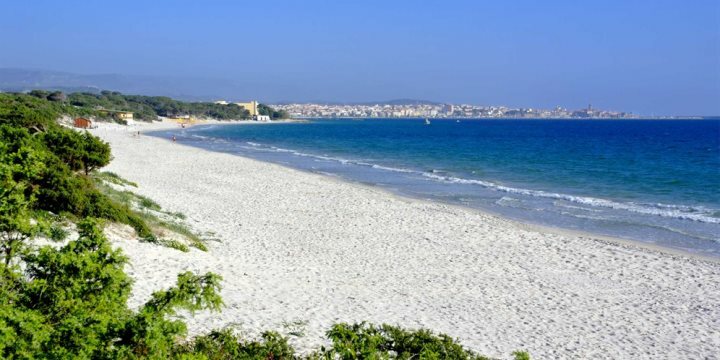 More beaches are to be found as you journey further around the bay of Alghero and around Porto Conte bay and beyond it. On the way to Porto Conte, just past Fertilia, try the beaches of Lazzaretto with superb views across to Capo Caccia and Le Bombarde, a strip of pure white sand bordered by crystal clear sea. Beyond the headland of Capo Caccia there is a lovely long beach at Porto Ferro. Stintino, the north-western point of the island, has some fantastic beaches, including the almost tropical Pelosa. Most beaches will have windsurfing boards and pedalos to rent. At the main port, as well as along the Lido, you will find companies which hire out small boats. There are diving schools here; past clients have used “Blue Services” and been very happy with the service they received. In the summer months, horse and cart tours are available in Alghero, taking you on an hour long trip around the old town. It is a great way to see the sights and children love it. Tours start on the port side of Bastione della Maddalena where you will find the carriages waiting.